There are some flaws in traditional approach. Mainly this is designed by the government and pretty much everyone is following this approach. Think about it, these funds are invested in stock market, many types of mutual funds and savings accounts. If everyone is investing there the prices are going to go up and your funds will do well. However, over the next decades perhaps there would be lot of withdrawals by the baby boomers. Thus, the stock market and funds indexes may not do as well as it has done in the past. As more money going out, but less money coming in these funds can struggle. Over the next few decades Governments will be in immense pressure to pay for the aging population. Thus, in the information age retirement planning should be different. The approach must be suited to modern time. 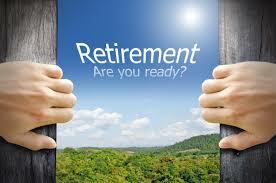 You may want to retire early perhaps in your 40’s and still maintain the lifestyle and have regular income coming in. Why, wait till 65 and enter into unknown territory and volatile financial markets. Retire early approach has been followed by many people. Look around lot of young people build a business, sell it and move on to do what they love to do. Their investments produce regular amount of income. These investments are of three types, real estate, active businesses, and paper investment. Once you get regular amount of income coming in, you can choose to retire early. Retire early does not mean you are no longer working. It means you are no longer required to work, but you can choose to work what you are passionate about. The information age, has made much easier for people of all ages to get connected and keep working as long as they want to. There is no age for retirement from your passion. Your lifestyle or investments will always prompt you to do something, and then you will do what you love to do. So, earning money while you are retired will not be a problem. So, the idea is to retire early from you day job but never retire from what you love to do.